If you need to get a tasty, healthy meal on the table but just don't have a lot of spare time, these simple recipes using chicken breasts are great choices. The list includes recipes using boneless and bone-in chicken breasts. Choose from chicken casseroles, light, and easy oven fried chicken, basic baked or roasted chicken breasts or quick skillet recipes. 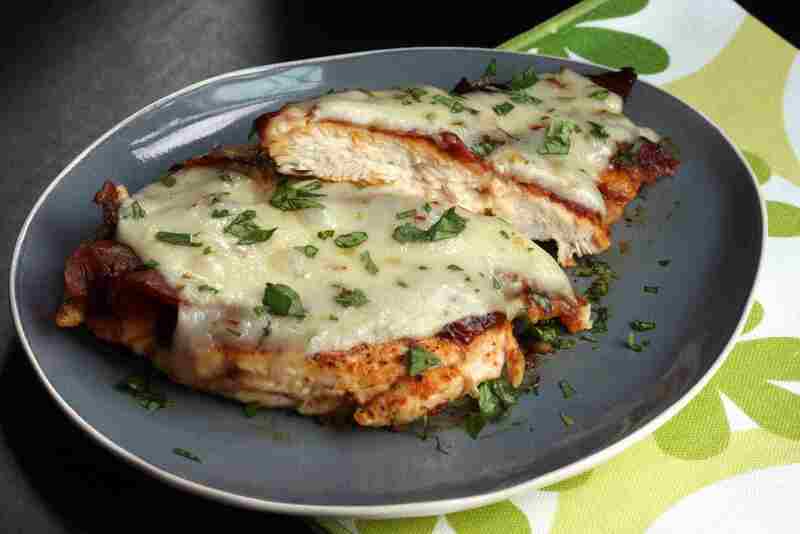 Boneless chicken breasts are baked with a topping of barbecue sauce, bacon and pepper jack cheese. This easy entree is ready in under 30 minutes. These fried chicken breasts will be an instant hit! Some hot sauce and Cajun seasoning provide flavor. These split chicken breasts are seasoned and baked to perfection with sliced onions. The easy veloute sauce is a great way to elevate simple sauteed boneless chicken breasts. Pesto flavors these simple skillet chicken breasts. Heavy cream is added to make a creamy sauce. Serve the chicken with hot cooked pasta. This is a no-frills recipe, but it doesn't lack flavor. Some garlic powder and paprika flavor the chicken along with salt and pepper. All your favorite flavors in a classic loaded baked potato are the toppings to this chicken meal. The zucchini is cooked along with the chicken breasts in this recipe. The garlic cream sauce is a combination of cream cheese, garlic, and chicken broth. These sauteed boneless chicken breasts are served with a creamy Parmesan cheese sauce. This super simple pepper jelly glaze adds flavor to these simple, roasted split chicken breasts. Here's another quick and easy skillet chicken recipe made with chicken breasts, mushrooms, tomatoes, and a little wine and garlic. This makes a wonderfully busy day meal, and it's great with rice or pasta and a salad. This tasty curry sauce flavors these boneless skillet chicken breasts. 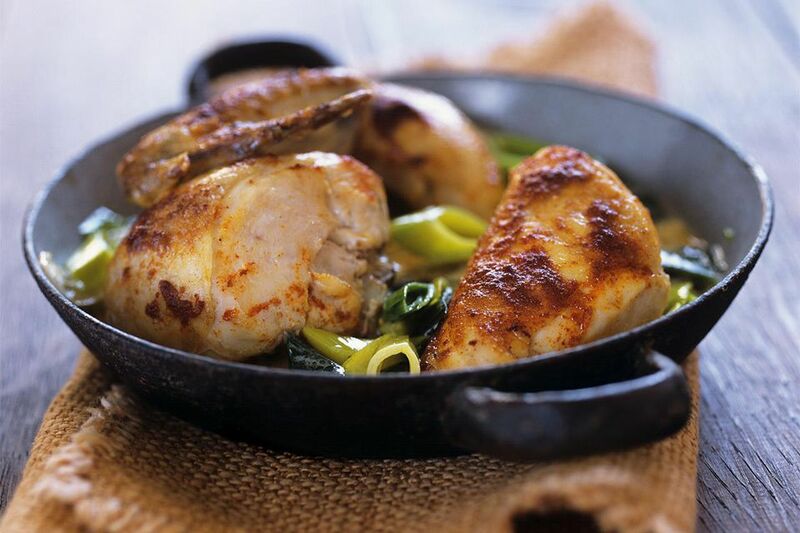 Serve this chicken with hot cooked rice or roasted potatoes for a tasty everyday meal. Peach preserves, balsamic vinegar, and spicy mustard are combined to make a tasty sauce for these boneless chicken breast halves. The chicken is glazed about halfway through the baking time. These chicken breasts are sauteed and then finished with tomatoes, capers, lemon juice, and chicken stock. The recipe includes some dry white wine, but you may substitute more chicken stock. This easy curry is loaded with flavor. It's made with bell peppers, peanuts, and classic curry seasonings. Breaded and oven-fried chicken breasts are briefly baked with prepared spaghetti sauce and mozzarella cheese. This elegant, flavorful chicken dish is surprisingly fast and easy. Dinner in under 30 minutes! This dish is easy enough for a busy day and fancy enough for company. Serve with mashed or baked potatoes or rice. ​Pineapple juice and a variety of spices and seasonings flavor these simple baked boneless chicken breasts. This sweet and sour chicken is a 30-minute dish that doesn't skimp on flavor. This recipe is made with chicken breasts, barbecue sauce, and onion. The chicken is slow cooked to perfection and then piled onto split, toasted buns. Chicken breasts are cooked in a creamy, flavorful sauce. The sauce is made with condensed soup, lemon juice, and curry powder. Add some cheese if you'd like. Jalapeño peppers and garlic add flavor to these chicken breasts. The chicken is baked and then smothered in a cheddar cheese sauce. Add extra cayenne pepper for more heat. Heavy cream adds richness to this delicious chicken with Marsala wine. Garlic, lemon juice, and basil add flavor. Mushrooms, green onions and garlic flavor the creamy sauce for these easy chicken breasts. Cream cheese is added to the sauce. White wine, lemon juice, and garlic flavor to these simple skillet chicken breasts. Add some capers to the dish if you'd like. This is an easy make-ahead meal that you can enjoy throughout the week. Serve the chicken with warm pita bread or lettuce leaves. Toasted almonds garnish this chicken and rice casserole. Serve this dish with a simple tossed salad. This satisfying chicken and dressing casserole is easy to prepare and cook in a slow cooker. This easy casserole is a popular family favorite. It's an excellent busy day meal with only 6 ingredients. This fabulous dish is surprisingly easy. Use chicken breast cutlets or tenders in the recipe. These bacon and cheddar coated chicken strips are incredibly easy, and the taste is out of this world! Serve the chicken strips with a dip as an appetizer or as a main dish. Use leftover or cooked chicken breasts in this tasty British chicken dish. This casserole is made with diced cooked chicken, an easy, light sauce and loads of vegetables.